David Beckham may have left Manchester United in 2003, but it appears his hatred for bitter rivals, Liverpool, still runs deep.The former England captain has begged ex-Real Madrid team-mate, Zinedine Zidane, to beat the Reds in the Champions League final today. 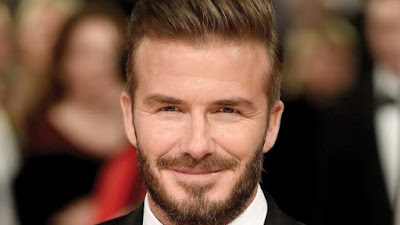 Beckham, who left Old Trafford for Los Blancos in a deal worth £25 million, sat down for an interview with Zidane ahead of the showpiece final in Kiev and implored him to lift the trophy at Liverpool’s expense. ‘To have been successful as a player and now to be successful as the boss, the big boss, is incredible,’ Beckham said to Zidane.‘I just want to wish Zizou, the boss, the president, the club good luck in the Champions League final. ‘And please beat Liverpool, please!’Real Madrid are attempting to win a third consecutive Champions League title in Kiev and insisted his team have worked tirelessly to get there. Meanwhile, Lucas Vazquez has not forgotten his first encounter with Mo Salah. The Real Madrid winger came out on top but only just.Salah faced Madrid in the last-16 of the Champions League in 2016 when he was still at Roma. ‘He was brilliant at the Bernabeu,’ says Vazquez. ‘He was so fast, he got away from defenders and he had chances that he was not able to take. That was what was missing from his game. The goals. It was Vazquez who made Roma pay for their failure to finish two years ago. He came on in the second half and within three minutes had skipped around full-back Lucas Digne and crossed for Cristiano Ronaldo to score as Madrid went through. Zidane likes Vazquez because he listens and delivers what is requested. Ronaldo has a special bond with him too, he thrives on his crosses as he did that night against Salah’s Roma. And he gleefully buries all the spot-kicks he wins.